GMP environments require very strict control. Whether or not regulations mandate them, controlling the process and the manufacturing formula is, frankly, a good idea. The problem with controlling GMP documents and GMP control-system recipes is the onerous change-control process that has evolved over the years. And my observation of this change-control process is that it was design by regulators and not computer scientists. It's important to bring out computer scientists because managing source code is a core function of companies that develop software. In fact, version control is so sophisticated that it has become distributed and there are distributed version control systems (like Veracity DVCS) that can help cGMP-regulated companies manage their GMP documents and recipes. I actually have yet to see version control software applied to GMP industries probably because people don't understand it nor how it works. In fact, only recently did I get a primer on it. 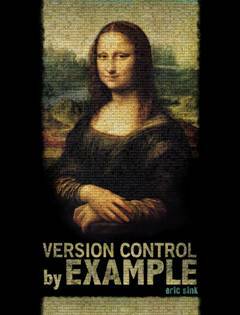 That primer came in the form of the beginner book on version control called "Version Control By Example" by a fellow named Eric Sink. And while he may not have written this book for QA managers in big pharma... every QA/CC manager in big pharma ought to have a copy of his book. It goes through the evolution of change control. It talks about central repositories and how the industry is moving towards distributed repositories. It imbues the newbie reader with a shared vocabulary so that people who understand the importance of version control can express their needs to people who write version control software. Get a print version from Amazon here. At Zymergi, we believe that future of QA change control and document management is to turn to proven methods and technology. And looking to the technical folk in the software version control space is where I think the robust solution lies.